Piperacillin/tazobactam (PTZ) has been compared with carbapenems in observational and retrospective studies for both definitive and empiric use in treatment of ESBL-producing Enterobacteriaceae bloodstream infections. Its use is considered controversial, given conflicting evidence from 6 studies.5-10 Four of the studies found no difference in mortality.5-8 Their results suggest that for infections with a low inoculum (bacteremia because of a binary or urinary source), those caused by ESBL-producing E coli, and those in noncritically ill patients, PTZ offers similar outcomes to a carbapenem-based regimen. The other 2 studies found a difference in mortality outcome favoring carbapenems, including patients with a higher percentage of inoculum infections (bacteremia because of intra-abdominal infections or pneumonia), a higher percentage of infections caused by ESBL-producing K pneumoniae, and a higher percentage who were critically ill.9,10 Less than half of the patients in the studies that found a difference in outcomes received the recommended PTZ dose of 4.5 g every 6 hours. Thus, most patients in these 2 studies were underdosed, which may have been an underlying factor driving the differences seen between the 2 treatment groups. Based on all of these studies’ findings, the effectiveness of PTZ for treating bacteremia because of ESBL-producing Enterobacteriaceae remains unclear. The MERINO trial offered to overcome some of the discrepancies seen in the previous studies.11 This study was an international, multicenter, open-label, randomized noninferiority trial of PTZ 4.5 g every 6 hours versus meropenem 1 g every 8 hours for the definitive treatment of E coli or K pneumoniae bloodstream infections resistant to ceftriaxone. Subjects enrolled had at least 1 blood culture positive for E coli or Klebsiella spp that was resistant to ceftriaxone but susceptible to meropenem and PTZ. 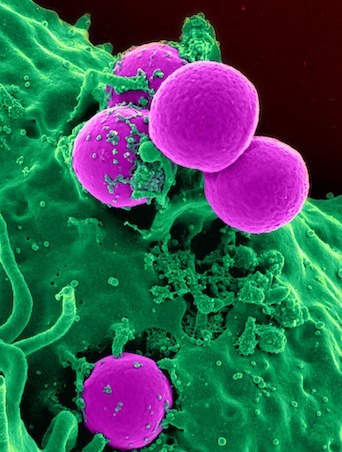 Patients who had an allergy to either study drug, had a polymicrobial bacteremia, or were not expected to survive beyond 96 hours were excluded. The investigators divided patients by the infecting species (E coli or Klebsiella spp), severity of illness (Pitt bacteremia score ≤4 or >4), and source of bacteremia (urinary source or elsewhere). Individuals with a nonurinary source of infection and a Pitt score >4 were designated high-risk. Three hundred and seventy-eight patients were evaluated for the primary endpoint of all-cause mortality at 30 days. Prespecified subgroup analyses of the primary endpoint included bacterial species (E coli vs K pneumoniae), Pitt bacteremia score (≤4 or >4), and source of bacteremia (urinary versus nonurinary source). Noninferiority in 30-day mortality was not achieved (12.3% vs 3.7%; P = 0.90) when comparing PTZ with the meropenem treatment arms. Several aspects of this trial resonate with previously observed data. For instance, although PTZ minimum inhibitory concentration (MIC) for E coli was similar across treatment groups, the median MIC was significantly greater for K pneumoniae than E coli species (4 mg/L vs 2 mg/L; P <.001). This could explain why PTZ had poorer outcomes in previous studies with a greater number of K pneumoniae infections. Similarly, the baseline characteristics for the MERINO trial illustrate that more patients in the PTZ treatment group had nonurinary sources of bacteremia, which was shown in 2 previous studies to lead to worse outcomes for PTZ-based regimens. Finally, although Pitt bacteremia scores were similar between the 2 groups, there were more immunocompromised and neutropenic patients in the PTZ group than the meropenem group. Also, whereas both groups had a similar number of patients in the intensive care unit, the APACHE II study scores were higher in the meropenem group, indicating a higher severity of illness. Given these differences, the investigators used subgroup analyses to further evaluate the outcomes. PTZ continued to fail to achieve noninferiority compared with meropenem. The MERINO trial results do not support using PTZ as a carbapenem-sparing treatment option for ESBL-producing Enterobacteriaceae bloodstream infections. Pharmacists should encourage the use of a carbapenem. More studies are needed to shed light on the role of other beta-lactam/beta-lactamase combination drugs as a means to replace carbapenems as the panacea for ESBL-producing Enterobacteriaceae bacteremia. US Department of Health and Human Services. Antibiotic resistance threats in the United States, 2013. CDC website. Accessed November 21, 2018. Chastain DB, White BP Cretella DA, Bland CM. Is it time to rethink the notion of carbapenem-sparing therapy against extended-spectrum β-lact- amase-producing Enterobacteriaceae bloodstream infections? A critical review. Ann Pharmacother. 2018;52(5):484-492. doi: 10.1177/1060028017748943. Tamma PD, Rodríguez-Baño J. The use of noncarbapenem β-lactams for the treatment of extended-spectrum β-lactamase infections. Clin Inf Dis. 2017;64(7):972-980. doi: 10.1093/cid/cix034. Bouxom H, Fournier D, Bouiller K, Hocquet D, Bertrand X. Which non-carbapenem antibiotics are active against extended-spectrum β-lactamase-producing Enterobacteriaceae? Int J Antimicrob Agents. 2018;52(1):100-103. doi: 10.1016/j.ijantimicag.2018.03.014. Rodríguez-Baño J, Navarro MD, Retamar P, Picón E, Pascual Á; Extended- Spectrum Beta-Lactamases–Red Española de Investigación en Patología Infecciosa/Grupo de Estudio de Infección Hospitalaria Group. β-Lactam/β-lactam inhibitor combinations for the treatment of bacteremia due to extended-spectrum β-lactamase-producing Escherichia coli: a post hoc analysis of prospective cohorts. Clin Infect Dis. 2012;54(2):167-174. doi: 10.1093/cid/cir790. Vardakas KZ, Tansarli GS, Rafailidis PI, Falagas ME. Carbapenems versus alternative antibiotics for the treatment of bacteremia due to Enterobacteriaceae producing extended-spectrum β-lactamase: a systemic review and meta-analysis. J Antimicrob Chemother. 2012;67(12):2793-2803. doi: 10.1093/jac/dks301. Ng TM, Khong WX, Harris PN, et al. Empiric piperacillin-tazobactam versus carbapenems in the treatment of bacteremia due to extended-spectrum beta-lactamase-producing Enterobacteriaceae. PLoS One. 2016;11(4):e0153696. doi: 10.1371/journal.pone.0153696. Gutiérrez-Gutiérrez B, Pérez-Galera S, Salamanca E, et al. A multinational, preregistered cohort study of β-lactam/β-lactamase inhibitor combinations for treat- ment of bloodstream infections due to extended-spectrum-β-lactamase-producing Enterobacteriaceae. Antimicrob Agents Chemother. 2016;60(7):4159-4169. doi: 10.1128/AAC.00365-16. Ofer-Friedman H, Shefler C, Sharma S, et al. Carbapenems versus piperacillin-tazobactam for bloodstream infections in non-urinary source caused by extended-spectrum beta-lactamase-producing Enterobacteriaceae. Infect Control Hosp Epidemiol. 2015;36(8):981-985. doi: 10.1017/ice.2015.101. Tamma, PD, Han JH, Rock C, et al; Antibacterial Resistance Leadership Group. Carbapenem therapy is associated with improved survival compared with piperacillin-tazobactam for patients with extended-spectrum β-lactamase bacteremia. Clin Infect Dis. 2015;60(9):1319-1325. doi: 10.1093/cid/civ003. Harris PNA, Tambyah PA, Lye DC, et al; MERINO Trial Investigators and the Australasian Society for Infectious Disease Clinical Research Network (ASID-CRN). Effect of piperacillin-tazobactam vs meropenem on 30-day mor- tality for patients with E. coli or Klebsiella pneumonia bloodstream infection and ceftriaxone resistance: a randomized clinical trial. JAMA. 2018;320(10):984-994. doi: 10.1001/jama.2018.12163.